Many people enter the healthcare field because they want to work with people. For these nurses, it is the nurse-patient relationship that is one of the most important things. By understanding the nurse-patient relationship, nurses can be better quipped to work with their patients and, ultimately, provide better care for them. Hildegard Peplau's model of nursing focuses on that nurse-patient relationship and identifies the different roles nurses take on when working with patients. Hildegard Peplau was born in 1909 in Pennsylvania. As a child, she saw the devastating effects of the flu epidemic in 1918, which greatly influenced how she understood how illness and death impacted families. She graduated from the Pottstown, Pennsylvania School of Nursing in 1931 and worked as a staff nurse in Pennsylvania and New York City. After a summer position led to Peplau being recommended to work as a school nurse at Bennington College in Vermont, she earned her Bachelor's Degree in Interpersonal Psychology in 1943. 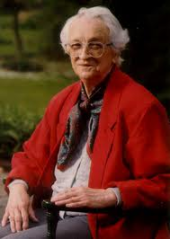 She earned her Master's and Doctoral degrees from Teacher's College, Columbia University, and was certified in psychoanalysis at the William Alanson White Institution of New York City. Peplau died on March 17, 1999. After earning her Bachelor's Degree, Peplau studied psychological issues at Chestnut Lodge, a private psychiatric facility, with Erich Fromm, Frieda Fromm-Reichmann, and Harry Stack Sullivan. This led to Peplau's life long work, which extended Sullivan's interpersonal theory to be used in the nursing field. From 1943 to 1945 Peplau served as an Army Corps Nurse. Being stationed at the 312th Field Station Hospital in England allowed her the opportunity to work with leading figures in American and British psychiatry. In the early 1950s, she created and taught the first classes for graduate nursing students at Teachers College. She was a member of the faculty of the College of Nursing at Rutgers University between 1954 and 1974, where she created the first graduate program for clinical specialists in psychiatric nursing. In the 1950s and 1960s, she offered summer workshops for nurses across the United States where she taught interpersonal concepts and interviewing techniques, as well as individual, family, and group therapy. Peplau worked with the World Health Organization by serving as an advisor, and was a visiting professor at universities throughout the United States and around the world. She served as a consultant to the United States Surgeon General, the United States Air Force, and the National Institutes of Mental Health. She also participated in policy-making groups for the United States government. After retiring from her position at Rutgers, Peplau helped create the first European graduate nursing program at the University of Leuven in Belgium, where she was a visiting professor in 1975 and 1976. Peplau's model for nursing, which helped later nursing theorists and clinicians develop more therapeutic interventions, includes seven nursing roles, which show the dynamic character roles typical in clinical nursing. The Seven Nursing Roles are: the stranger role, in which the nurse receives the patient the way a stranger is met in other situations, and provides an atmosphere to build trust; the resource role, in which the nurse answers questions, interprets data, and gives information; the teaching role, in which the nurse gives instructions and provides training; the counseling role, in which the nurse helps the patient understand the meaning of current circumstances, as well as provides guidance and encouragement in order for change to occur; the surrogate role, in which the nurse acts as an advocate on behalf of the patient; the active leadership role, in which the nurse helps the patient take responsibility for meeting treatment goals; and the technical expert role, in which the nurse provides physical care for the patient and operates equipment. For those who become nurses to work with people, studying Hildegard Peplau's model of nursing can be very useful. By better understanding the seven roles of nursing, they can apply different roles in different situations, which will ensure that their patients receive the best care possible, and will ultimately speed along treatment and recovery.